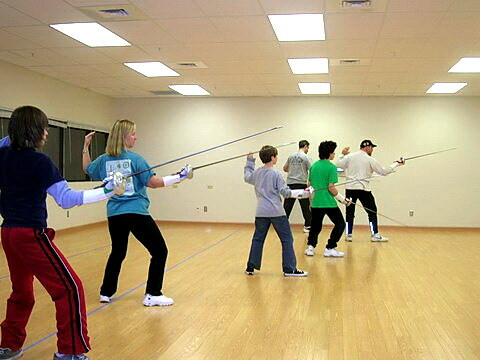 WFA has a rich history of teaching fencing at parks & recreation facilities, community centers, health clubs, churches, and schools throughout the greater Seattle and Eastside areas for more than a decade. We've taught in more than 20 facilities, giving literally thousands of Pacific Northwest kids and adults a chance to experience fencing in classes and camps. Many have gone on to become WFA members, active fencers, college scholarship recipients, and more. Our programs are based on an established curriculum, and we provide equipment. In addition, we are insured and follow policies and protocol from USA Fencing. We have worked with more than 20 organizations throughout the region to provide beginning and intermediate fencing classes to hundreds of enthusiastic kids, teens, and adults.